Lenovo and Scale Computing have launched a new hyperconverged solution, combining Scale’s software and the Chinese manufacturer’s servers. The HC3 Edge Platform was designed for use at the network edge, specifically in retail and industrial environments; according to the partners, such sites require distributed, remotely manageable compute, and the ability to run both IoT and traditional applications in tandem. Scale’s hyperconverged platform integrates virtualization, compute, storage and disaster recovery. It is fully automated and can be managed remotely. 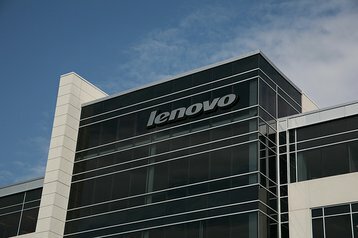 Lenovo says the solution is “space conscious and can be managed at each individual location by generalists,” eliminating the need for highly-trained technicians that are often required to tend to traditional IT equipment. Lenovo became a serious contender in the data center field in 2014, when it bought IBM’s x86 server business. Last year, the company reorganized the division into two subcategories, separating its regular servers - under the ThinkSystem brand - from its many hyperconverged systems, now part of the ThinkAgile range. Rather than develop its own software solutions, the Beijing-based company tends to turn to partnerships and joint ventures with popular software vendors. These include Nutanix, VMware, Microsoft, and, most recently, NetApp. Shrinking demand for PCs and mobile devices has led Lenovo to double down on its Data Center Group (DCG), pushing both enterprise data center and HPC hardware, and announcing a series of new partnerships and R&D investments. This strategy appears to be bearing fruit: server sales rose by 49 percent year-on-year in the second quarter of 2018, and the company claims it both doubled its hyperscale footprint and became the biggest supplier of systems to the Top500 supercomputer list in the same period. However, last time we checked, the division still wasn’t profitable; we will be sure to update our readers when Lenovo’s Q3 results go live.